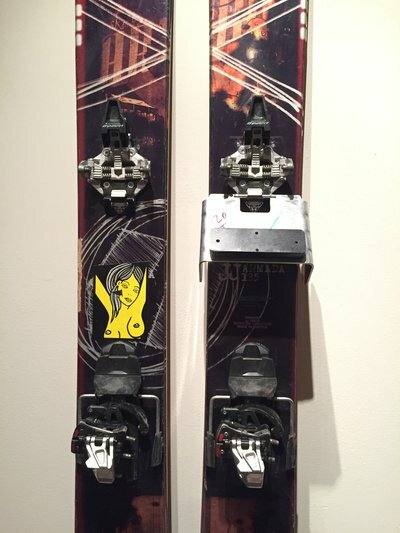 185cm Armada JJ's, Dynafit Radical ST bindings mounted -2cm from center for a 315mm sole. BCA Magic Carpet skins, and a set of 120mm ski crampons (purchased from Feathered Friends, Seattle & never used). This is everything you'll need for a touring / skimo setup. These have been everywhere with me - Stevens sidecountry to skiing spring voclanoes to Japan. The setup is dialed. 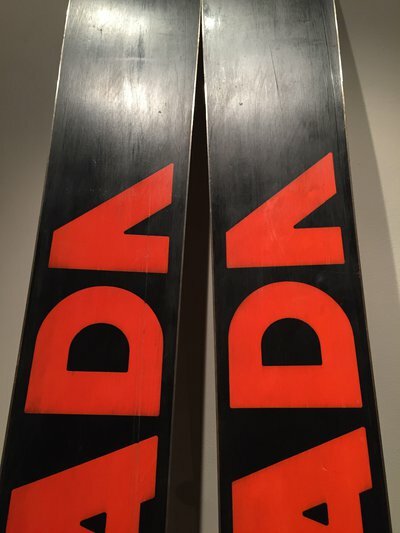 Skis are in decent condition, were fully tuned fall 2016 with new base structure / the works. The ding on the left topsheet was cleaned and sealed with marine epoxy by yours truly. Definitely not the prettiest, but the setup has always worked exactly as it should. The BCA Magic Carpet skins are awesome, getting more grip than my buddies on BD Mohair Mix with decent glide. These tail clips are super tough rubber, and are better than most at staying put on the rounded tails. Included with these are repair parts! 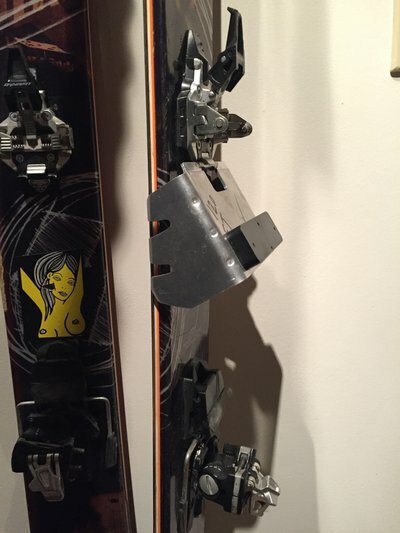 A spare radical ST heel-piece with fully functioning internals (snapped plastic at the post, so can't be put on a ski but springs / pins / towers are good), and replacement BCA tail clip. Yo those JJs still available?